I'm not a fan of westerns (old-school or even Clint Eastwood-style), but, as far as westerns go, this one was well-made, even if I wasn't entirely enthralled. Both Christian Bale and Russell Crowe rocked it. Mr. Monkey really liked this flick, so this might be a good option to mollify your man. Javier Bardem is creeeeeeeepy to the max as a psychopathic murderous hitman. The movie is suspenseful, super gory, and not for the weak and queasy. The performances are excellent, even if the ending is huh?-inducing. Bardem is really something else in this film. Really. Sadly disappointing. I like Ryan Gosling, but this movie was so blah. It was not nearly as interesting as BBC's documentary series "Love Me, Love My Doll," which I watched several months ago. If you're interested, you can see a snippet here. I realize the focus of Lars and the Real Girl is not the practice of loving a doll, but, rather, the care and support of family, friends, and neighbors when a person is having problems. I can't lie, though. I found the insightful BBC documentary regarding Real Dolls (open at your own risk -- not safe for work) far more intriguing. Lars was saptastic and irritating. hm. nothing for me to add to my list. thank you for saving me from wasting 6ish hours of my life. i told steve i wanted to see no country for old men and he didn't know what it was about, so he passed and we so i am legend instead and it was bleh, of course i was scurrred, but nothing awesome. yeah, i didn't think lars would be on my list. it just looked...off. 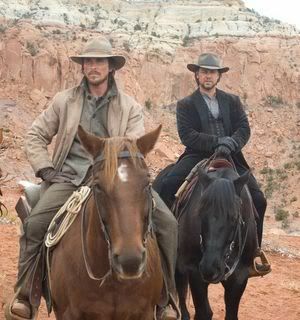 i LOVED 3:10 to Yuma. 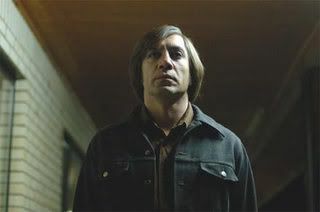 can't wait to see No Country for Old Men, but will pass on Lars. Thanks for the reviews!